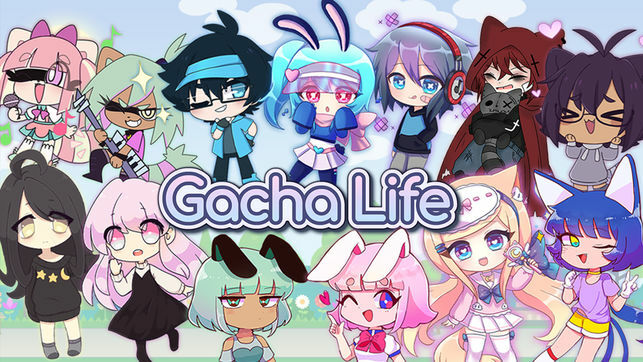 Gacha Life is a casual simulation game for mobile devices where players create their own anime styled characters and dress them up in their favorite fashion outfits using the game's extensive customisation options. Once players have designed their characters they enter the Studio and make skits, setup scenes and develop relationships with other characters. There are also 8 different mini-games to choose from that will enable players to win gems to Gacha over 100 Gifts to add to their collection. When you reach level 10 the chat feature will become unlocked and you will be able to join the community and share everything you have created with other players. To level up your characters you must play Life mode. You will be able to level up faster if after you have leveled up a NPC to friendship level 5 you move on and interact with the next NPC. Doing this will enable you to level up much faster as friend EXP required to level up after friendship level 5 is a lot. In the quiz you will be given 10 questions by the NPC which you have to answer correctly. The answers to these questions will not change so if you take a screenshot from your phone with each of the 10 correct answers you will always be able to go to your phone image gallery to check the answers. It is advised that you take advantage of the 'Watch Ad' button whenever it appears as it gives you the opportunity to get some gems by watching a short video advertisement. Playing the 8 minigames on offer is a great way to pass the time while you are waiting for your stamina to replenish as they enable you to earn free gems. To find out more about these minigames check out our What are the Mini-Games page. Always look to roll the Ten Gacha as doing so will give you a higher chance of obtaining high rarity gifts and restore more stamina. When you start talking to a character you will be given several options that will enable you to raise your friendship level with them. These options are Talk, Ask, Gift, and Quiz. To find out more about them go to our How to Raise Friendship Levels page. We hope these tips help you out in the game, but for further help, try our beginners guide, we also have some FAQs for Gacha Life, you can also submit your own questions there for other players to answer. Is there a VR mode? How do you make a bathroom? Have a question for Gacha Life?